Vocals, Acoustic guitar and Mandolin: John Donoghue. Keyboards and additional instruments: Julian Lee. Backing Vocals: The Yandall Sisters. Recorded at EMI Studios, Wellington and Stebbing Studios, Auckland. 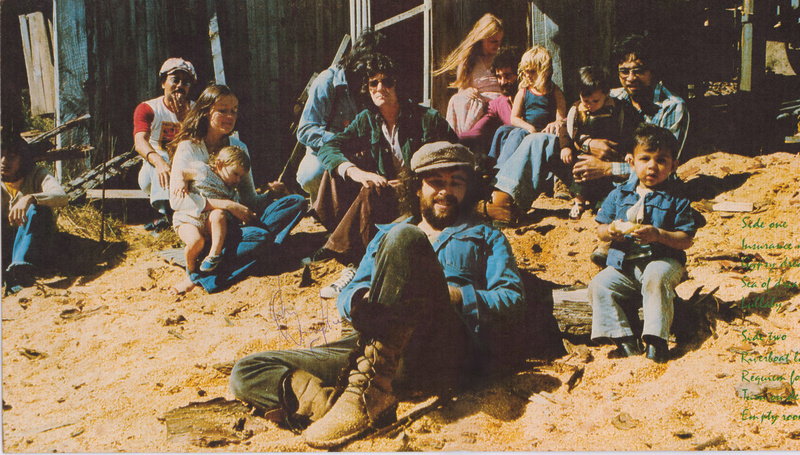 The inside album cover photo - L to R; Suman, Tom, Louise, Arwen, Bob, John, JD, Dwanette, Frits, Debbie, Mathew, Denis, Kiran. With 1973's "Spirit of Pelorus Jack" winning NZ Album of the Year Award, it didn't take long for the topic of a follow-up album to pop up in conversations. I was keen. In "Spirit of Pelorus Jack" all I heard was a novice songwriter taking his first steps in learning his craft, and, after two years in the Human Instinct, I also felt the need to crank the Timberjack sound up a notch from the four-piece acoustic folkblues of the first album. But the real problem was time. 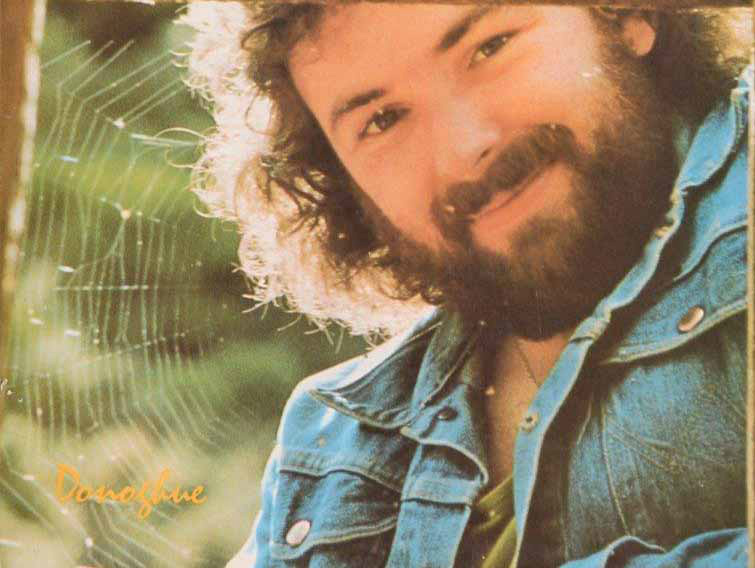 I didn't have any..
From 1972 to 1974 I had been working as a fulltime musician in the Human Instinct, one of New Zealand's busiest bands, after which I re-joined Bulldogs Allstar Goodtime Band, who had become THE busiest band in the land. The Bulldog's touring regime was relentless. Six one night stand evening performances plus five daytime concerts each and every week. To record the overdubs for "Requiem for County Gaul,' the third "Timberjack Donoghue" Single, I had to excuse myself from a Bulldog's lunchtime concert in Hamilton, breaking the first rule of showbiz and making myself a tad unpopular with the band. 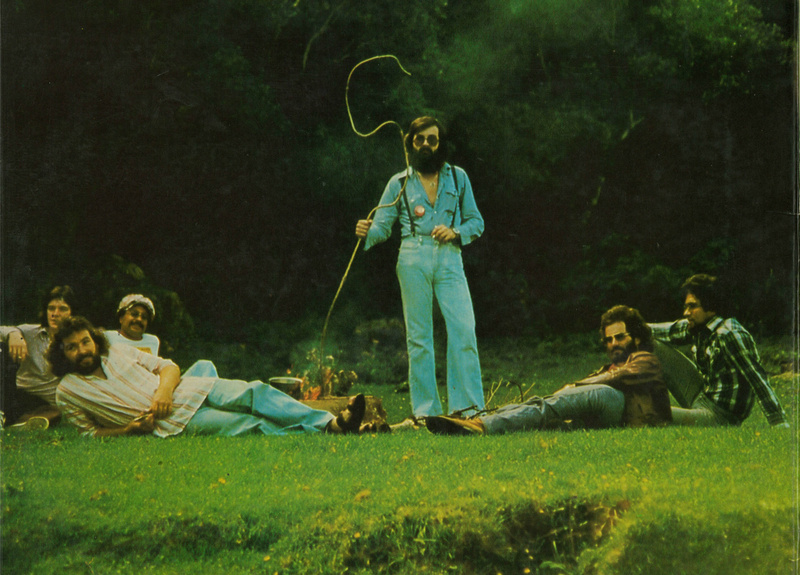 L to R;- John O'Connor, JD, Tom Swainsen, Bob Smith, Frits Stigter, Denis Mason. "Redeye" was an inspired choice as backing band for the album. They were resident band at the Wellington Musician's Club at the time, and I had enjoyed a long history with each individual member. Sax player Denis Mason and I had both grown up in Miramar and kicked our music careers off at the Wellington High School Music Competitions. Keyboardist Bob Smith belonged to the crew I hung with in Auckland during the Human Instinct days and had featured in the "Pelorus Jack" Video. Guitarist John O'Conner and Drummer Tom Swainsen were no strangers to the Timberjack Donoghue Project. They had both played on the "Dahli Mohammed" sessions. Bass Player Frits Stigter had been a fellow member of Timberjack (the band) and indeed was responsible for the "Timberjack" name. The legendary Yandall Sisters. 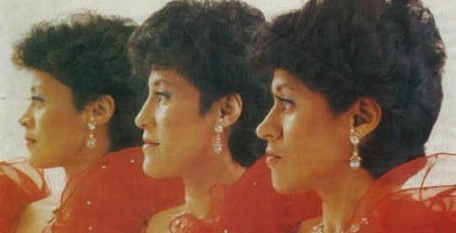 L to R;- Pauline, Adele, Mary. The Yandall Sisters came into the project toward the end of the process. As we worked through each track I would give them a rough guideline of what I had in mind. They would take that away into their unique "Sister Huddle" at the far reaches of the studio and return a few minutes later with a vocal arrangement a million times better than the one I'd just given them. They would then step up to the microphone and with very few exceptions, nail the whole thing in one take. The Yandall Sister's "legendary" status came not just from their many fans, but from those musicians who had the priviledge of working with them. By the time the backing tracks for the second album with the Redeye Band were recorded in Wellington, EMI studios had installed an eight track recorder, but Stebbings now had a sixteen track. So once again, as he had done with the "County Gaul" session, Producer Terence O'Neil-Joyce flew to Auckland with the multitrack mastertape and laid the tracks into Stebbing's new Studer Machine. The same team assembled at Stebbings for the overdubbing session; Terence producing, Phil Yule engineering, Julian Lee acting as Musical Director and the Yandall Sisters adding their magic. Unfortunately, the recording session ran over time, resulting in me having to lay down the lead vocals in a rush just prior to jumping on a plane to London, leaving Terence, Julian and Phil to finish off the album without my input. When I finally received the finished album in the UK later on that year I began touting it around the London Record Companies. The London music executives remarked that the album sounded American, which was odd, because I had also sent a copy to Terry Williams In LA and the American music execs he played it to there thought that it sounded British. 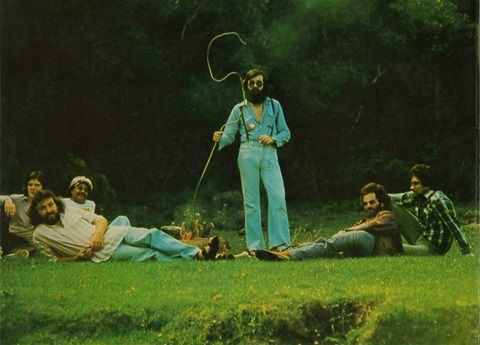 Although the album was written, arranged, recorded, mixed and mastered in New Zealand with all New Zealand musicians and technicians, it did not qualify for entry into the 1975 NZ Music Awards because I, myself, was out of the country at the time of selection. That particular rule was relaxed shortly thereafter. Kevin Findlater and Danny Shaw were overlooked on the album credits for some reason. My excuse, that I had no input into the album cover's design or text and was on the other side of the planet at the time, doesn't prevent me from apologising profusely. 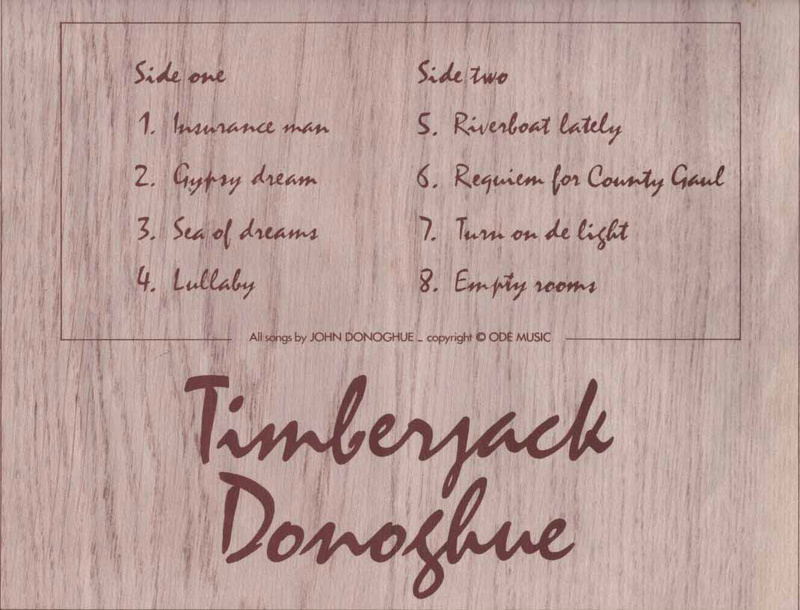 FEATURED TRACK - "SEA OF DREAMS"
AND HERE'S WHAT THE PRESS HAD TO SAY..
John "Timberjack" Donoghue seems to me to be the forgotten man of the New Zealand music scene. Which is a damned shame because he has much to offer and more, than any other song writer/performer in the Country. I've probably been as guilty as anyone in failing to disperse the good word about the man and his talents and for that I'm sorry. I've often said that John Hanlon is the best we have and it's not to decry his efforts that I now move into the Donoghue camp. He's a man who feels passionately about the state of our world and the quality of life therein, for example, but he gets the message across without preaching - simply, but still with a tremendous sincerity. 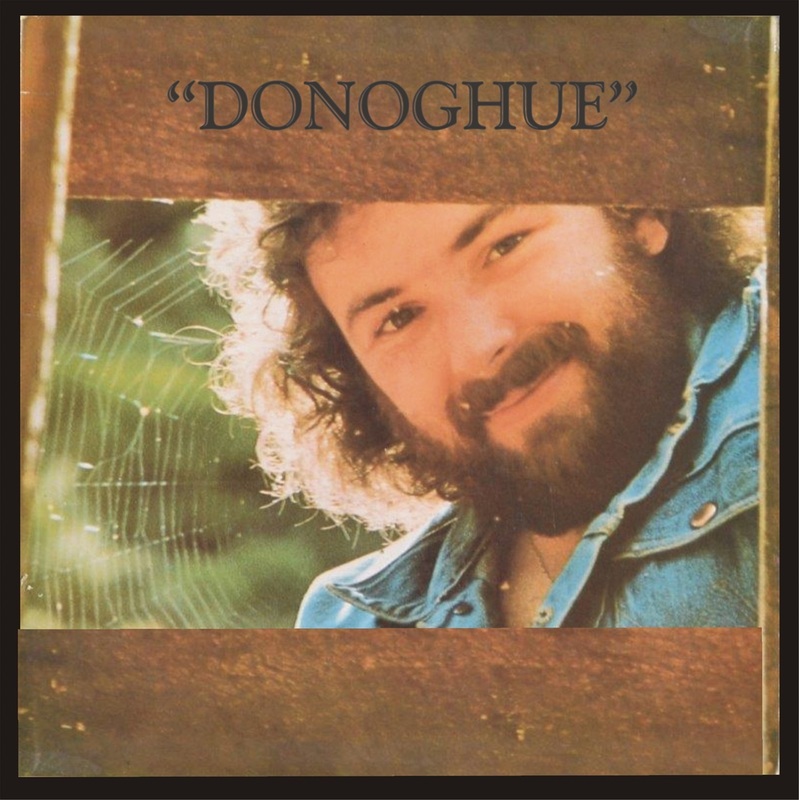 An earlier album, "Spirit of Pelorus Jack," deservedly took awards some years ago, and with any luck, Donoghue will now get even more wide-spread attention. Donoghue's efforts apart, backing band "Redeye" does a superb job. Tom Swainsen (Drums) Frits Stigter (Bass) Bob Smith (Pianos) John O'Connor (Guitar) and Denis Mason (Saxophone) do everything just right. As well there's Julian Lee on Fluglehorn, Mellotron and Accordion, and the Yandall Sisters doing the vocal backing. They make an immediate impact from the first track, "Insurance Man," a song that moves along so well that some of the essentual morbidness of the message is lost. "Requiem for County Gaul" is as good an example of Donoghue-type protest as any. As an admonition to France and her Nuclear aspirations he warns; "..You can't take Mother Nature, and spit in her face, without being damned..."
who's that reciting lines from the "Rime of the Ancient Mariner" near the end of "Sea of Dreams?" Not to worry that I don't know, but Donoghue and Producer Terence O'Neil-Joyce have done something we can all be proud of. Well done men, and ladies..!